One of my favorite cartoons as a little kid and even today is Scooby Doo. 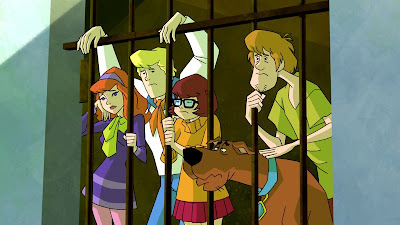 Scooby Doo is the dog pictured above and the others in the photo include Daphne, Velma, Shaggy, and Fred. They are a group of friends and their dog who solve mysteries. Scooby Doo has been very popular with different versions being created as time passes and it's not just a cartoon anymore. Other than cartoon series, Scooby Doo has animated movies and live action movies. 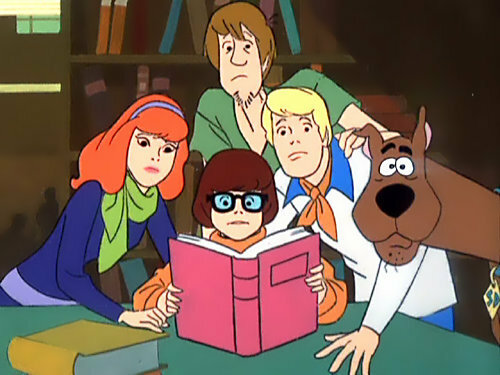 I have seen many Scooby Doo episodes several times, episodes from all of the different versions, and all of the movies. 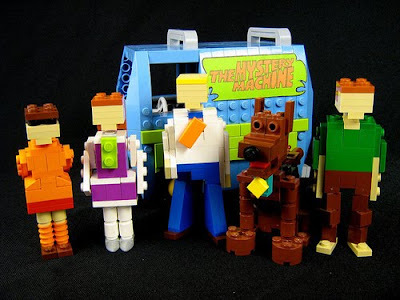 Scooby Doo, Where Are You?, What's New Scooby Doo?, Scooby Doo and Scrappy Doo, and A Pup Named Scooby Doo are a few of the Scooby Doo series. The animated movies include Scooby Doo on Zombie Island, Scooby Dooand the Witch's Ghost, and Scooby Doo! in Where's my Mummy? There have been 3 live action movies and a new one set to premiere in October, which I am very excited about. Recently a new Scooby Doo! Mystery Incorporated series has started showing on Cartoon Network and I now have a scheduled 30 minutes of Scooby Doo every Monday so that I can watch every new episode. Happy 41st Birthday Scooby Doo! I think this photo is from the Scooby Doo and the Legend of the Vampire movie. This movie is set in Australia. After relaxing on the beach the gang decides to travel into the Outback to see a music festival contest (note is this picture how they have tickets I think its the tickets for the festival). In this photo you can see the gang running! In every episode they get chased by the monster or villian that they are looking for. In one episode I can remember someone commenting on how much Scooby and Shaggy ate and Shaggy said something like, "Being in a state of terror makes us hungry and since we are constantly in a state of terror we are constantly hungry." This is a photo of the new series, Scooby Doo! Mystery Incorporated. In it the gang get thrown in jail in the first episode for interfering in police business. 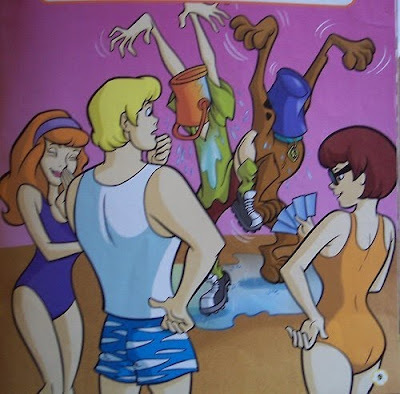 In this new series Daphne, Fred, Velma, Scooby, and Shaggy are teens and in high school (Scooby being a dog isn't really in high school but he always goes there with Shaggy). They are constantly getting in trouble for solving mysteryies, because the town Crystal Cove uses these mysterious monsters as tourist attractions. I saw this on WeHeartIt.com and was very impressed! It is so cute. Are you a fan of Scooby Doo too? What's your favorite episode/movie? Are you watching the new series? I’m your newest follower. I would like to invite you to the Follow Us Monday Morning @ Frugality Is Free @ Frugality Is Free. It is a great place to meet, connect and expand your blogging network, and you can even win a free ad space. scooby doo is just so awesome. the fact theyve been around so long is proof. scooby doo was amazing and was one of my favoruites as a kid, i sadly will not be watching as i no longer have cartoon network..! i still love scooby doo now! we even had them all on video and then saw all the films in the cinema! Awww scooby doo! I remember watching this cartoon in the mornings when my oldest sister would be at school and I would be home with my mom. This cartoon is truly the best! I miss cartoons like scoby doo! they did an episode based from my hometown! i remember it.